What a difference a week has made for Gilman School basketball. The Greyhounds defeated No. 10 Dunbar, 62-56, in a non-league contest in east Baltimore. Senior guard Jalen Rucker finished with 16 points for Gilman (3-3 overall). Playing for the first game inside the Poets’ fabled gym, the Greyhounds kept their poise in the closing minutes to pick their second victory this week over a VSN Top 20 squad. Wednesday, Gilman defeated No. 12 St. Vincent Pallotti in Laurel. Last week, Gilman dropped a home match to Loyola Blakefield after absorbing a 43-point loss at No. 4 Mount St. Joseph in MIAA A Conference action. Rucker, who’s committed to Army, and senior Chase Drew combined to go 10-for-10 from the free throw. Freshman guard Christian Winborne came up with four points in the final frame. With a mix of veterans and promising young talent, Gilman is expected to compete for a MIAA A postseason spot. The Greyhounds reached the St. Paul’s League final during the summer. The Greyhounds started fast with a 9-2 advantage, and led 28-23 at halftime. Dunbar (2-2), playing a box-in-one on Rucker, pulled even at 43 entering the fourth. Gilman’s young talent came up big in “Eastside Gardens” as junior guard Jordan Foster and sophomore forward Malik Missouri each had a basket. Missouri and 6-foot-9 junior post Roman Hinds each finished with eight points. Dunbar senior guard Malik McCormick tied Rucker with a game-high 16 points. The defending Class 1A state champ Poets, who return only McCormick from last season’s starting five, are struggling to find consistency. 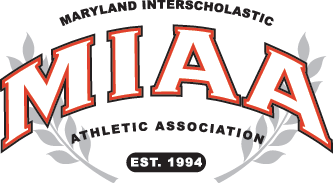 The Greyhounds have a much better perspective with road games next week at Annapolis and Calvert Hall College. Gilman will play in Salisbury for the Governor’s Challenge during the holiday break. Gilman – Rucker 16, Missouri 8, Hinds 8, Foster 7, Drew 6, Winborne 6, Cooper 5, Lane 5. Totals 21 14-14 62. Dunbar – McCormick 16, Barney 8, Edwards 7, Hunt 6, Jones 6, Davis 4, Williams 3, Ayers 2, Cannady 2, Miller 2. Totals 17 20-26 56.